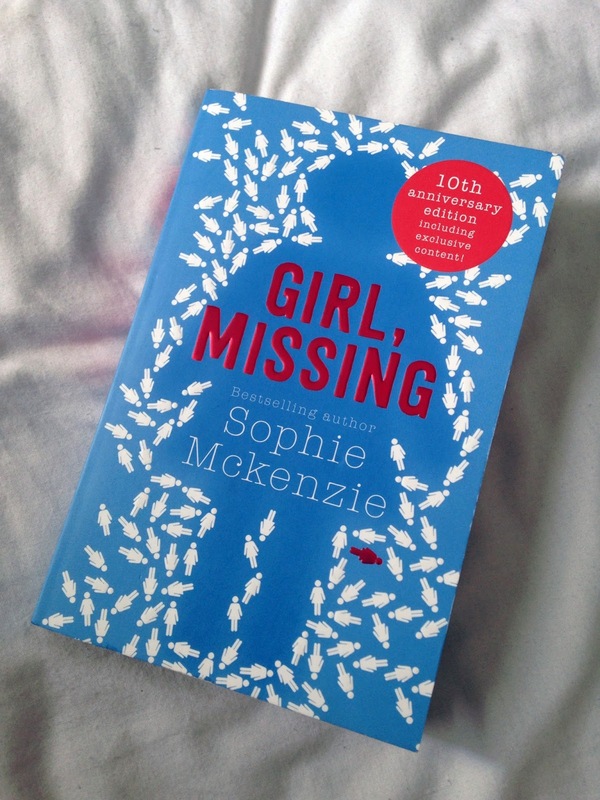 It's been 10 years since Sophie Mckenzie's Girl, Missing has been published. This incredible book won the Bolton Children's Book Award and the Red House Children's Book Award in 2007, the Manchester Book Award in 2008 and was shortlisted for the Carnegie Medal. It has sold over 150,000 copies in the UK alone and so for the 10th Anniversary an new addition has been published with some extra content for the fans to commemorate its success. Synopsis without spoilers: Lauren Matthews, a 14 year old girl, lives in London with her adoptive parents Lydia and Dave and her brother Rory. While trying to complete a 'Who Am I?' essay for homework she realises that she does not know who she is. Trying to seek an answer on the internet, Lauren ends up browsing through the missing-children.com website. With this little research she now faces the possibility that she was kidnapped from her family and not adopted. Determined to find out more and answer her million questions Lauren convinces her parents to take a trip to the Atlantic where she then runs away in search of the truth. However, the truth is cryptic and the people involved are determined to do anything it takes to keep her silent. Review: There is one issue with this book, you won't be able to stop reading. I co-existed with this book and within two days I finished it. The writing style is great; it hooks you from the first chapter, it flows and each chapter brings something new and exciting. At no point does it feel like the author is beating around the bush trying to make the piece longer. The vivid descriptions give you a clear picture in your head and it soon becomes a movie too. A thriller that keeps you on edge and ready for more without being overwhelmingly scary or gory. Perfect for teens who are into this genre and are looking for a modern classic to read while sunbathing by the pool. "When it comes to YA thrillers, there's one name that defined the genre: Sophie Mckenzie. She's the queen of nail-biting, page-turning and addictive reads I just can't get enough of." ~ Amy Alward, author of Potion Diaries. Extra Content: As previously mentioned, this new edition has some extra content to celebrate the 10 years anniversary of this classic. This includes a deleted chapter which was part of the first draft of the book. The chapter is about Lauren explaining to her best friend what she found on the missing-children.com website and a quick phone call to the agency. Following the chapter is a Q&A with Mckenzie herself where she discusses her writing career, writing Girl, Missing and even what music she likes. I highly recommend this book for anyone who is 10 years and older. If this has now made it into your summer reading list click here and get your hands on a copy.